DirectSuggest is excited to team up with the most forward-thinking community in the world of HR. Hacking HR Forum Los Angeles and Silicon Valley presented by DirectSuggest are less than a month away! Hacking HR is a series of Forum events and chapters throughout the world discussing the intersection of technology and Human Resources. Hacking HR can be found in cities such as New York City, Chicago, Washington DC, London, Toronto, Vancouver, Seattle, Miami, Zurich, Lagos, and more. 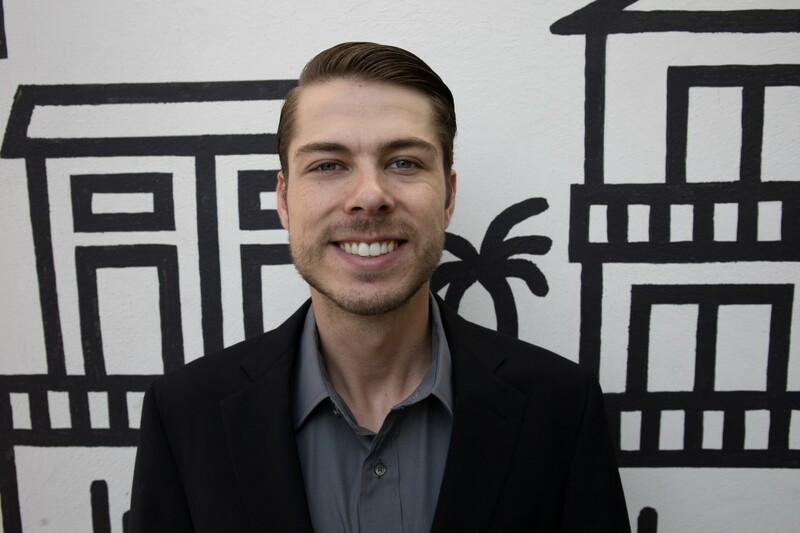 We are excited to work with Hacking HR to bring this powerful community to California. 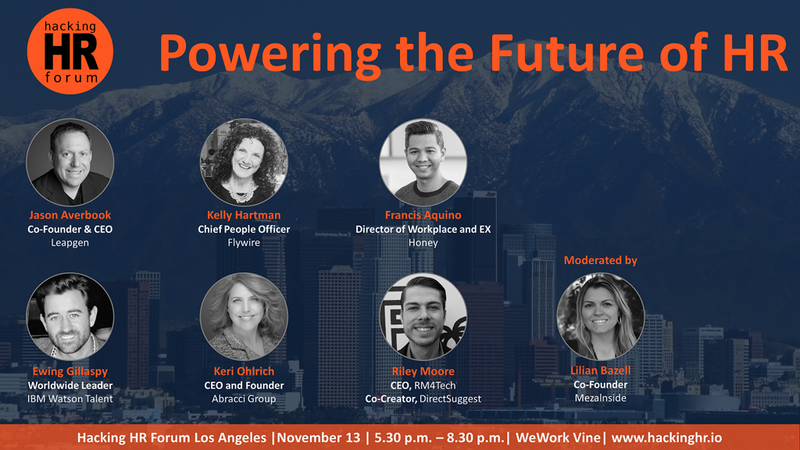 Hacking HR Forum Los Angeles presented by DirectSuggest is November 13th in Hollywood at WeWork Vine. 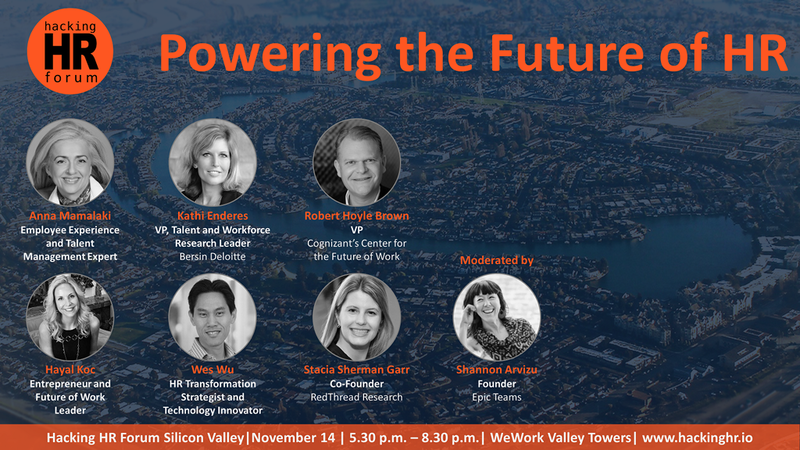 Hacking HR Forum Silicon Valley presented by DirectSuggest is November 14th in San Jose at WeWork Valley Towers. Each event features a powerful panel of six speakers with diverse backgrounds. Each panel member will make a content focused eight-minute presentation. After the presentations are made the panel will interact with the audience discussing and providing answers to what is on their minds. Due to the importance of creating a community built on growth and collaboration, time for networking before and after is a crucial aspect for the development of everyone involved. Jason Averbook, CEO and Co-Founder at Leapgen - "Embracing a Digital HR Mindset While Building a Workforce Experience for the Future"
Kelly Hartman, Chief People Officer at Flywire - 'Are You Ready to Embrace Your Own Disruptors"
Hacking HR Forum Silicon Valley presented by DirectSuggest will be moderated by Shannon Arvizu. Kathi Enderes , VP Talent and Workforce Research Leader at Bersin, Deloitte Consulting LLP - "Redefining Performance Management for the New World of Work"
Robert Hoyle Brown , VP at Cognizant's Center for the Future of Work - "21 Jobs of the Future: Your Guide to Getting & Staying Employed for the Next Ten Years"
Anna Mamalaki , Employee Experience and Talent Management Expert - "Changing the Employee Experience"
Hayal Koc , Account Executive at Salesforce - "Designing an Agile Talent Strategy"
Wes Wu , HR Transformation Strategist and Technology Innovator - "Being Pragmatic About HR Robotics"
Stacia Sherman Garr , Co-Founder at RedThread Research - "Talent Analytics: What's Happening and What's Changing"
Both events will sell-out, tickets are only $25! 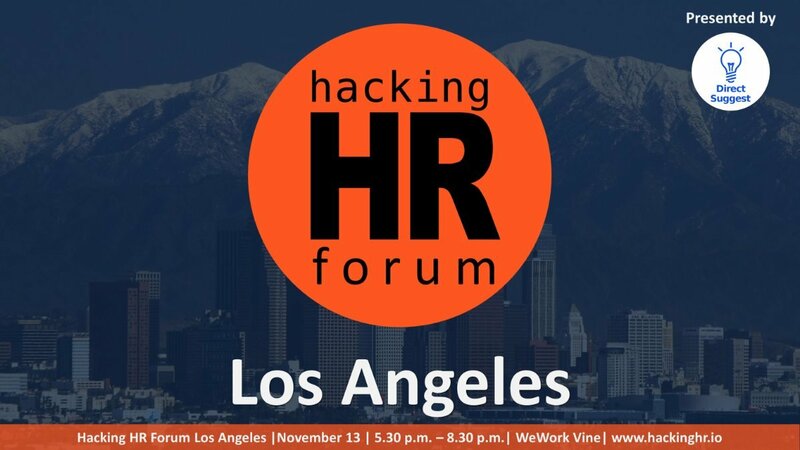 Tickets for Hacking HR Los Angeles can be found at https://www.eventbrite.com/e/hacking-hr-forum-los-angeles-tickets-47376527469 and for Hacking HR Silicon Valley can be found at https://www.eventbrite.com/e/hacking-hr-forum-silicon-valley-tickets-47376912621.